EndChain is a decentralized platform utilizing open protocols and utilities with the aim of disrupting the logistics industry while connecting transportation companies, producers, forwarders, and other relevant parties through transparent, simplified transactions. The result of this will be a seamless exchange of goods in a secure and traceable manner. EndChain emphasizes on the entire logistics chain process. That is, from the manufacturer, to the business, to retailers up to the consumers. This will enable EndChain to become a blockchain solution that is easy to use and understand for all the players within the supply chain. By addressing the needs of the logistics industry during the production process, EndChain will improve the overall experience and facilitate the mass adoption of blockchain. EndChain will integrate all the products on its supply chain with patent pending barcode and QR combination in order to make it easy for businesses and users to use the chain. Additionally, this combination will reduce confusion among logistics providers and enable EndChain to easily integrate existing systems. The major challenges facing manufactures today is supply chain mismanagement and counterfeits. 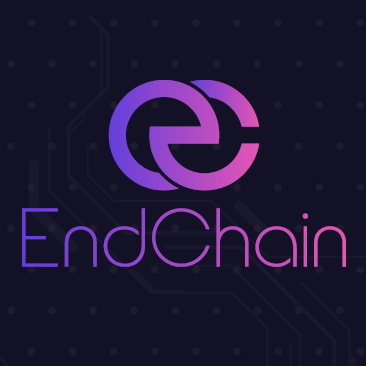 EndChain provides a solution to this problem by tracking all products from the point of inception to their final destination. To make the tracking possible, each product is scanned at the point of manufacture and assigned an individual chain identifier. Furthermore, EndChain will eliminate theft and ensure responsibility through the transportation code, which is scanned and sent to distribution and transportation centers. This monitors the movement of the items through the distribution process until their final destination. The current solutions in the market are currently focusing on two things. Firstly, they focus heavily on the luxury market segment. The solutions for luxury goods often incorporate hardware, such as microchips with advanced cryptographic identities, which are often expensive and therefore are not economical for low and medium-priced products. Secondly, these solutions focus on highly specialized industries. The systems and microchips are often tailored for one industry, making it hard for these systems to adapt and be applicable for a wider range of industries. EndChain is filling this gap in the market. It provides a holistic as well as price competitive approach to strengthen the supply chain, which can be applied across a wide range of industries. To illustrate, we have chosen examples of three competitors who have the most publicity based on how they consistently lead google trends interest among their peers. Since 2015, Everledger has been creating a global digital ledger that tracks and protects diamonds throughout their lifetime journey. The company focuses heavily on diamonds, which limits its use cases. The entire hardware and software is geared to create a 3D digital thumbprint of a diamond. The 2014 founded company is currently focusing on covering three industries with its supply chain blockchain: pharmaceuticals, precious metals and luxury goods. Chronicled’s focus is on compliance track and trace regulations such as temperature sensitive microchips that can detect whether the cooling chain has been interrupted. Founded in 2015 the company has been setting its focus on pharmaceuticals, diamonds, luxury products and electronics. The solutions are equally as specialized as the previous competitors. Overall, the three examples show the niche mentality as well as the focus on the high end market within the blockchain supply chain solutions.EndChain understands that this needs to change and is well equipped as well as committed to bring a low cost, one size fit all solution, which the market has been asking for. Aside from the overall function of the chain, it is important to discuss key features that will allow EndChain to become widely accepted. These features will be added to streamline existing processes, such as communication. There will also be the additional benefit of increasing security, privacy and clarity when compared to existing methods.